Nowadays, when a potential buyer enters a sales room, they already know just about everything there is to know about their dream car. It is therefore a waste of time to ply them with information they can just as easily find on the internet. The amount of information available online is seemingly infinite. Hence, the internet has a role to play in nearly every step of a purchasing decision. The internet is the first source of information used in the search for a new car. One in three buyers is inspired online to look at brands they ordinarily would not have even considered. And, when comparing potential alternatives, a quarter of users turn to online reviews. Moreover, three in four dealers base their decisions on careful consultation of customer reviews. 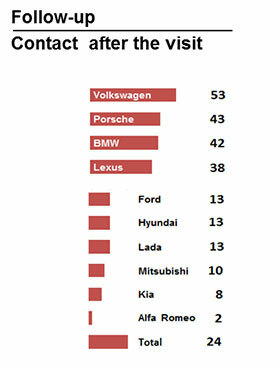 This availability of a multitude of information online has led to the fact that dealerships are seldom visited anymore. Whereas ten years ago purchases were preceded by approximately four visits to the dealership, dealers are now sought out only once. When they are, dealers experience first-hand the superiority of the internet: Customers come armed with smart phones and tablets, using live offers to put pressure on sellers. Today's customers are more connected and have more information than dealers. All of this means that the time span in which purchasing decisions can be influenced is much shorter than it was in the past. Dealers these days have to be much more knowledgeable, be sharper in their observations and react much faster with suitable offers. Mistakes have drastic consequences for a dealership’s reputation as customers publically share their experiences online. "The internet is changing the buying process." The classic sales funnel that, step-by-step, limited the customer in their alternative choices has ceased to exist. In the past, positioning a product on the market, choosing the right media and starting a marketing campaign was all it took. This type of one-sided communication is similar to a game of skittles - in that the goal is to knock down everything else that is new. Nowadays, the interactive purchasing cycle is more realistic. It takes into account the mutual impacts of consumers and communication via social media. The internet offers consumers transparent information. The manufacturer does not enjoy a monopoly as the sole source of information. One-sided monologues directed at customers have been replaced by reciprocal communication between the customer and manufacturer as well as between customers themselves. In this style of communication, the voice of the customer carries immense weight. Why? Because everyone listens. Sales organisations are thus placed in a weaker position as dealers can no longer manipulate the purchasing decision process. Instead of skittles, communication is now more a game of pinball. The ball is launched and has little to no influence over the direction communication within the community will take. At the worst, a firestorm of protest will rage. And so the ultimate goal must be to keep the ball in game as long as possible. "Keep the ball in game as long as possible!" For dealers this means collecting and analysing information about customers. Data can come from direct interaction or be gleaned from the digital footprints customers leave in their wake, e.g. via configuring their vehicle, actively participating in online-communities or in their reactions to email campaigns. If dealers were to analyse data at these points of contact, they could determine exactly which phase of the purchasing decision the customer is currently facing. This would enable them to intervene at exactly the right time and in exactly the right place in order to specifically encourage a purchase. However, dealers can only be successful in their endeavours if they are aware of which information the visiting customer is already in possession of. In turn, these customers expect the dealer to act with a high level of knowledge otherwise any conversation will be of no value at all. According to a recent study conducted by the sales magazine CSO-Insights, sales managers are describing rising customer expectations as the biggest challenge sales teams are facing. "Car dealers are in need of digital consultants." What is the value added that the seller can offer to such demanding customers? The answer lies in consulting services that extend beyond the sale of the original product. A large percentage of buyers place value on the ability of dealers to tailor truly suitable offers based on a needs assessment. What is the message dealers can take from this? Build up a strong presence, be useful and be quick! Possessing a strong presence means ensuring you can be found via specific search words and that your internet content can be viewed on mobile devices. Being useful entails offering customers information regarding prices and on-site stock that is simultaneously structured in such a way that it is instantly comparable to other competitors. Appropriate images and videos are also useful. And of course, should a potential buyer place an enquiry it stands without reason that the quickest to react will win the prize. "Build up a strong presence, be useful and be quick!" This stands in stark contrast to Germany's current reality. According to the concertare 2015 benchmark study of 1030 dealerships from 32 car brands, just 69% of dealers answer E-Mail enquiries sent in by potential buyers. In most cases dealers are only willing to make an offer if these E-Mails include an address. 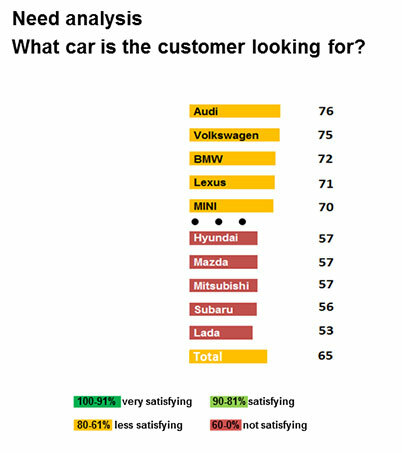 Of the 32 brands, only eight offered their E-Mail customers good service: Enquiries were answered, a contact person at a dealership specified and an invitation issued for a test drive or sales consultation. If it ends in a sales consultation, however, very few dealers carry out a need analysis. Out of everyone, Audi is the best performer yet still only received average ratings. Furthermore, hardly any dealer uses the opportunity to stay in contact with a customer after a consultation. The conclusion? The majority of dealers let the chance of establishing a personal connection between their customers and brand by creating value added to the internet or to a printed brochure slip through their fingers. Thus mobile.de CIO Malte Krüger recommends using digital consultants for dealers. At mobile.de there are strict guidelines for affiliated car dealerships regarding the digital interaction with customers. Their dealers are required to answer E-Mails within 12 hours, specify which methods of finance they accept and offer test drives. This is checked via anonymous enquiries. mobile.de is a prime example of how car manufacturers should restructure themselves. They must ensure a vital rethinking within sales occurs and hammer home the benefits of data-driven methods to dealers when it comes to identifying and communicating with new and existing customers. Dealers must be able to provide their customers with relevant information at every stage of the purchasing process. Dealers must also come to accept that, in future, their superiors will evaluate their work using this data. At the same time, the reward systems must undergo a vital shift - away from the number of sold vehicles and towards the contribution dealers make to the purchasing decision process. This raises the question of what role dealerships will even play in the purchasing decision process. Which element of the customer journey can the car sales room shape? As the overall "buying experience" of cars is primarily defined by feeling, there is much to be said for concentrating on physical settings. 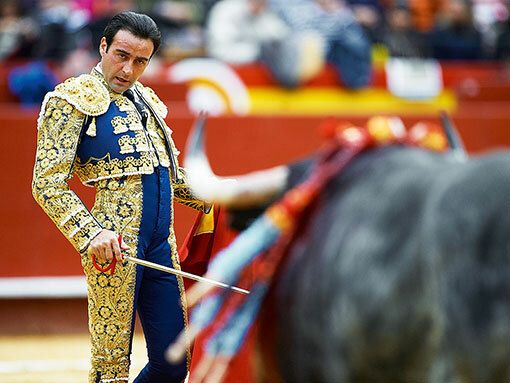 New sales formats offer an exciting stage, e.g. brand stores in top city locations, pop-up stores in unusual locations, test drive centres or designer superstores. These sales formats share the common attribute of both providing customers with a good overview and the perfect setting for the product. In the sales room, iBeacons can provide useful support. With the iBeacon, the dealer's app is able to identify which car the customer is standing in front of and can supply them with interesting and relevant information. Another app makes use of augmented reality to overlay the real-life vehicle with aluminium wheel rims and a burl wood dashboard, for example, to spark additional desires. Finally, if the customer’s desired car is not immediately within eyesight, the app can direct the customer to its location in the sales room. In an ideal future, the dealer will supply their own in-house data pads that can be lent to visiting customers, mastering the sheer volume of data regarding configurators, high-definition catalogues and videos or augmented reality applications. With all this the dealership will become an online-shop that is tangible at the same time. It is this interweaving of online and offline that forms the key to success in car sales. Although we cannot halt this transformation, we can shape it. Car Dealers: go digital or die! In light of digitization, the automotive retail is standing on the brink of change. In the future, cars will be sold completely differently to how we imagine today. At the International Trend Forum on 8 of October, over 500 experts from the automotive industry, including the management from the sales and marketing of Germany’s top manufacturers as well experts in market research and from academia, listened to the presentations of Google, Volkswagen, Skoda, Nielsen, MeinAuto.de and trade researcher Prof Gerrit Heinemann. On this basis, the audience agreed on six trends which are elaborated below. Dr Gilbert Heise, Volkswagen's chief marketing strategist, outlined the key trends for the automotive industry which are “always on”, mobile internet, urbanisation, sharing economy, digitalisation and the car’s general loss of societal status. These trends are prompting the automotive industry to develop new, service-orientated business models. Meanwhile, the car is moving away from being a symbol of status to instead embody the concepts of real and virtual mobility. Trend #1: "The business models of automobile manufacturers will be changed drastically through digitization within the next 10 years"
Members of Generation Y differ vastly in their consumer behaviour to their parents. More than two thirds of these new consumers seek more information about offers during the average 6-month presales period via their mobile device. Potential buyers will only visit a dealer before the decision to buy has been made. In 2007 there were four dealers. Moreover, fifty percent of buyers will make the purchase online. On the other hand, 8 out of 10 drivers would also be willing to share after purchasing data on their driving behaviour if it would benefit them and data protection could be guaranteed. For Volkswagen, this entails offering virtual services such as the digital display of and access to information and presentations as part of their “blended retail” in showrooms. By tracking where in the dealership and which information customers have retrieved via Bluetooth, it is possible to reconstruct their paths and use this information to optimise POS systems. During aftersales, Volkswagen offers its customers dongles with which they can access service data from their vehicle’s on board diagnostics and through which Volkswagen has been able to generate 260,000 additional workshop visits. Moreover, customers are offered additional online services in the form of apps, designed to increase the usability of the vehicle itself e.g. breakdown assistance, performance optimisation based on driver behaviour and peer-to-peer parking recommendations. Trend #2: "Car manufacturers will have a bright future in the digital world if they link the two worlds – on- and offline"
However, Prof Heinemann from the eWeb Research Centre questions whether online services in Germany have really proven their strengths and argues that the technical infrastructure is insufficient: “The German government’s digital agenda is a lie.” Moreover, he accredits the fact that digitization of trade in Germany has yet to happen to observations that a change in the way of thinking has not yet occurred in over-the-counter trade. Although e-commerce has been significantly increasing and the majority of customers browse the internet via their mobile devices, only a small fraction of dealer websites are optimised for the use on smartphones. In addition, real interaction with customers such as online consultations via video chat or normal chat is missing entirely. Lastly, it is common for the over-the-counter pricing information and information on product ranges to contradict the information offered on the dealer’s website and simple, seamlessly working order processes (see for example the American IKEA e-commerce platform) are an exception to the rule. When measured against these criteria, the individual initiatives of BMW, Mercedes and Tesla lag far behind companies such as Asos, Butlers, Levis and Amazon. However, it is important to note that the customer does not wish to entirely dispense with over-the-counter trade. Contrary to popular belief, it is not the product’s price that forms the decisive reason to buy but rather the availability of the product. Furthermore, the real-life inspection and testing of the vehicle before purchase is extremely important. Unfortunately, dealerships fail to demonstrate how to successfully combine the online and offline retail worlds. In this sense, the Ebay Inspiration Store is a benchmark for online merchants. Trend #3: "Market disruption can’t be avoided! – In every market segment one digital player will be the winner – also in automotive sales"
Mathias Bernhardt from the market research institute Nielsen illustrated how to motivate customers to buy online via data from television consumption. Clearly the trend goes towards using tablets and smartphones as a second and third viewing screen. This can be explained by the consumer’s wish to discuss films. Put simply into an equation: “video programming + social media = engaged audience”. In other words, yesterday’s TV crime thriller is now discussed both online and in real time whilst the show is still running. Because these discussions are transferring to the realms of the internet, they become a valuable source of customer reactions. It is precisely this that Dr van Deelen from Consline focuses on. He argues that customer reviews on the internet are a better source for identifying the quality issues of a car than market research. The internet is a good early warning indicator and facilitates uninhibited exploration of a topic without needing to know beforehand what it is exactly that you are looking for. However, popular well-known search engines are not suitable for this purpose for two reasons. Firstly, they do not focus on “non-owned media” but which from experience contain 90% of all feedback. Secondly, they cannot recognise the context of opinions (e.g. “I think so, too”) nor interpret ambiguous statements accurately. Trend #4: "The analysis of customer voices on the web will substitute classic market Research"
According to Pedro Pina, Google’s Managing Director, OEMs who wish to actively control their popularity online should take Google search criteria and the preferences of its users into consideration. Establishing a media-specific presence with a concise and effective key message can generate more attention than is possible with a television advert. See, for example, Geico’s “unskipable campaign” at https://www.youtube.com/watch?v=4fVLpyA50DY. As the internet forms the first and foremost source of information prior to a car’s purchase, dealers’ internet pages should be based on the customer’s information needs, sorted according to individual levels of information for each purchasing phase. Crucial criteria are one-click-functionality, a stimulating page design, the optimisation for usage on mobile devices and a seamless integration into ordering processes. 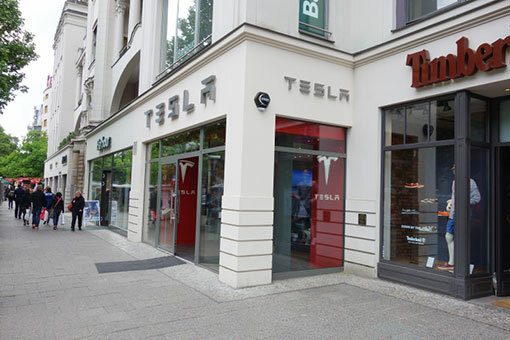 One excellent example can be taken from Tesla’s extremely simple online information retrieval and ordering process. Trend #5: "Digital change is happening now and fast. To win in this “new normal”, OEMs need to move fast, be bold and with full force into digital sales & marketing"
However, Alex Bugge from the comparison platform MeinAuto.de points out that even in the future, dealers will continue to be necessary. But dealers will need to immediately drive the deal home in their pitch to the customer. As the customer has gathered all the information they need online, they will usually only visit the dealer from which they wish to purchase. Therefore the dealership must have a strong internet presence if the customer is to choose their showroom in the first place. And it is on this weakness that the business model of MeinAuto.de is based upon. The independent price comparison website takes on the pre-sales period on behalf of the dealer and forwards them potential buyers. For customers the platform is the ideal combination of the advantages of the internet (easy, quick and a source of diverse offers) with the benefits of the showroom with its personal service and the comprehensive service offers of a car dealership. On the other hand, the dealer receives a multitude of leads but enters into a tough battle of prices with their competitors. As a consequence, the dealer relinquishes their title as the sole king of sales and information in order to save the service side of their Business. Trend #6: "In the future, sales of new cars will be based on the Internet. However, it is necessary, that the local car dealership with its services is integrated"
All in all, the podium discussion that took place after the presentations concluded that the above signifies the start of a gradual farewell. The reason why it seems to be difficult for existing firms to capitalize on disruptive innovations is that their business model that makes them good at the existing business actually make them bad at competing for the disruption, as Clayton Christensen, Harvard Business School professor wrote in his book “The Innovator’s Dilemma”. Today, the automotive industry is just in this dilemma. In January 2012, an Audi TT took the 326 curves of the Pikes Pike at a breath taking speed – and without a driver. Then, in early 2015, a highly automated Audi independently drove a lap record at Hockenheim Race Circuit. And in May, a vehicle was piloted by magic in the dense traffic of Shanghai City. Although the iPhone found more and more his way into the cockpit the success of automated driving doesn’t belong to Apple. Smartphones may perfectly inform and entertain the passengers given that one-third of them would like to go online while driving. At last month’s Car IT Convention in Frankfurt it became obvious that the car is still superior to the iPhone. Above all it’s because automated driving calls for access to the extensive sensor data of the vehicle. These sensors guarantee safety, efficiency and comfort and – finally – assures to be one step ahead Apple. Today, electronic stability program and distance control are a standard. More advanced systems are long range radar, laser scanner or front and rear view camera. Using business intelligence these sensors allow even the prediction of traffic and road conditions: When turning left, is there oncoming traffic to expect? When turning right do I oversee a cyclist? What's behind the next hilltop? To compensate these perceptual weaknesses of the driver is the strength of highly automated driving. They are accountable to over 50% of accidents. Mercedes Benz predicts that connected cars could significantly reduce this number. Navigation systems today give access to geographic data that previously made a total of 2.5 tons of printed maps. Moreover, dynamic route planning significantly saves time by avoiding traffic jams. When these vehicles would also share data about their destinations with the city traffic management, roads would be much more efficiently used. Highly automated driving is better using resources. Imagine that vehicles of a car-sharing program would independently drive back to collection points. It would be more even more efficient when such vehicles would pick up passengers having the same target. The automobile is an excellent human-machine-interface. A car addresses all senses. To see, to hear and to feel, this helps the driver to perfectly handle his car. Modern cockpits offer all vehicle information at a glance: Acoustic signals highlight the most relevant information. ESP and lane keeping give even tactile feedback. And the smell of fine leather completes the comfort experience. Regarding the hardware automobile manufacturers pull out all the stops. At this year’s IAA, the Volkswagen Golf R Touch impressed the audience with large displays, gesture control and ambient light. Since its assistant systems only intervene if the driver is under or overwhelmed, the driving pleasure is not put into question. The expectations of Generation Connected go however beyond the car. Standards are defined by service level of the Telco and gaming industries. Digital natives expect seamless processes which are unique to the brand. For them, those services are relevant that improve not only the use of the vehicle as such, but offer added value in terms of mobility. In the same way as digital pioneers such as Google, Amazon & Co. offered their services always and everywhere the question is how the automobile industry can extend its offering. How can they create demand for mobility services and brand experiences outside the car? Today, the manufacturers don’t deliver. According to the Mercedes Benz Head of Connected Cars Christoph Hartung the industry doesn’t succeed so far in exploiting the information about their customers’ usage patterns. They fail in generating customer insights about their needs. This contrasts sharply with the fact they have access to valuable sensor data. In principle, it should be easy to conclude from the driving behaviour that the driver is just looking for a parking lot and to automatically offer the next car park. If car manufacturers would analyse all those situations in which the driver uses his IPhone, they would recognize many new business opportunities. The blocking point is the corporate culture of many car manufacturers which is traditionally engineering-driven: it sometimes seems that they realise what is technically possible, not what the customer wants. Moreover, merging all vehicle data is a challenge for the automobile industry. In addition, data protection does not allow such a merge, unless the customer agrees. This is an important topic as connecting the vehicle with the infrastructure is a sensitive topic. One may have doubts if the automotive industry will succeed in data protection where many manufacturers of wireless printers and network PC failed. Consumers mistrust the industry as for them, the car is as private as the own living room. However, is to argue that even the Smartphone is an expansion of the private space which has become public. So as the iPhone has become more than a mobile, the car has to become more than a simple means of transportation or as Audi CEO Robert Stadler puts it: "The car has to get bigger than a car." The challenge to the automotive industry is to offer really relevant services to the Generation Y or as Scott Yara, President of Pivotal claims: "Build something meaningful!" Therefore, is necessary to leave the limits of the vehicles behind. However, the obstacles are manifold. As Stefan Bratzel, Head of the Centre of Automotive Management (CAM) warns that the data infrastructure in Europe is far behind the needs of the automobile industry. Following Martina Koederitz, Board Member of BITCOM, data highways are congested. Even today’s world best LTE data network, which is in the US, would break down if only one manufacturer would allow to its customers to stream music in the cars. Another handicap is that product development takes much longer in the automobile industry than in telecommunications (5-6 years versus 2-3 weeks). The car industry intends to address these challenges by an agile project management, the cooperation with other mobility providers and by shifting the focus of the value chain from production to service. For more frequent updates it is necessary to realise cloud solutions for central IT-systems and to significantly reduce the number of control units in the car. From the governments, important investments in the infrastructure are required. Under these conditions the forecasts may be reality that in 2020 about 50% of the added value comes from IT and that every fourth car will be connected (now 10%). Then, the dream of VDA President Matthias Wissmann will come true that, in 2020, highly automated driving is a standard. One may exult that, in the future, cars will beat the iPhone as a personal device. This could become true not only because of the potential of vehicle sensor data and the higher emotional value of a car, but also due to the sheer weight of 2 billion vehicles worldwide potentially connected. The car is the ultimate human machine interface. Then indeed, the iPhone’s days would be actually counted. To get a lemon car is people’s major concern when buying a used vehicle: Has it been abused, improperly maintained or poorly repaired? Ironically, the brand name of the popular French manufacturer Citroën means lemon. Moreover, the founder’s grandfather actually had been a greengrocer who sold citrus fruit, a profession which people don’t associate with automobile craftsmanship. Professional used car business rather depends on excellent customer management. Thereby we understand organising exchange relationships often being supported by IT-Systems. Channels through which the exchange takes place may be the staff, the vendor, and the website or call centre. Whether the exchange is successful depends largely on whether the expectations of used car customers are met. Due to the internet, these expectations are currently undergoing a dramatic change. New technology creates new customers. The traditional dealership is dead. For decades, we have been observing a tremendous decrease in the number of dealerships. The reason is that the dealership has lost sovereignty over its information and will lose sovereignty over its sales because people are perfectly well informed by the internet. More and more car manufacturers are piloting online sales. The overall reason for this decline is that exchange relationships do not happen in a dealership any more, but in the internet. Consumers do not look for dialogue with the dealer but with “people like you and me” on Facebook or Motortalk. Customers trust online reviews more than car dealers. Given the importance of word-of-mouth in the internet we have to recognize that today used car business is primarily digital. The internet turns the sales funnel into an interactive one. In opposition to the classic sales funnel model the buyer is not passive. In this new sales funnel model the buyer interacts with the seller as well as with various different buyers and sellers. Interaction means communication, e.g. liking a brand, posting a message, sharing a link, uploading a picture or participating in an event. During the conversation, the receiver can become a sender and vice versa. The main characteristic of the interactive sales funnel is that it reflects a dialogue. Online interaction strongly influences purchase decision. Today in nearly every step of the decision making process the internet plays a role: When looking for a used car, the internet is the first entry point for research. When researching in the internet one out of three buyers gets inspiration for additional brands. When comparing alternatives, 24% of buyers consider online reviews to be most helpful. And given that people get perfectly informed via Social Media, the dealership doesn’t play an important role anymore as a source of information. Today people pay dealerships significantly fewer visits than in previous years. Therefore, the golden window of opportunity to influence the consumer’s decision becomes smaller and smaller. And even after purchase, 75% of used car buyers share their experiences online. By doing this, they inspire other consumers who are currently in the consideration phase. In former days, the purchase process was based on a one-way communication. One had to position the product, select the media and realize a campaign. It was like bowling and the objective was to realize a clear shot. Today, the purchase process is dominated by consumers interacting via social media. There is a dialogue between consumers a company can’t control. Dealers can’t influence this dialogue and therefore the purchase decision anymore. Today, it’s like playing Pinball. The objective is to keep the ball in the game. So salesmen have to be better informed, they have to observe carefully and react quicker! Services of Online Portals exceed Brick-and-Mortar. As purchasing behaviour is influenced by Social Media the consumers’ expectations towards service processes are influenced by online portals such as Autoscout24 and Mobile.de. Overall, these portals are more convenient to those who are time conscious and looking for transparency. This is true for most digital customers. However, one major weakness of brick-and mortar-dealers so far is the loyalty of the customers after purchase. Here, it would be wise to keep the contact to the customer in order to prepare the next purchase and especially the service. 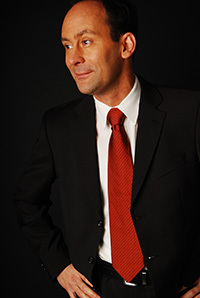 An example of how a dealership perfectly compensates its weaknesses is http://www.lueg.de/Mercedes-Gebrauchtwagen/0_406.html. Via the internet site prospects can easily get in contact with the used car offers. There is a contact button and the prospect will quickly be called back. Moreover, contact via all important social media platforms is possible. Need analysis is realized by the salesman or by the configurator. If the customer has saved a configuration the salesman can get this information for his further interaction with the prospect. Comparison of offers is very convenient because all cars are displayed with all relevant price information in a standardized way. He can immediately get an offer how to finance his car. Of course, the prospect can ask for a test drive which will also be confirmed immediately via this internet site or by e-email. In order to reduce the risk of buying a lemon car this dealer of course guarantees a certified quality of his vehicles and extra warranties. Dealers can win customers by picking-up on their digital habits when they are in-tune with the way the prospects collect information, i.e. in a digital way. In this sense, the Munich AUDI Used Car Centre already realises many innovative services such as 3D car configurator, virtual test drive stations, provision of interactive car information via touch screens plus additional information on the iPhone by QR-code and a digital shopping assistant (see www.audi-gwplus-zentrum-muenchen.de/ ). Today’s used car business is not sustainable. Consumers can imagine many alternatives to the dealer when purchasing a vehicle. 42% are ready to purchase directly from the manufacturer. Or they would buy used cars at independent online vendors, for example Amazon or even at a retail store like Metro or Sears. Only 21 % insist on buying at a dealership. The reason is that customers’ expectations are influenced by other branches. Mobile.de is appreciated for its transparent stock, which is a service the automobile industry can’t provide. At Nike, customers are well known people: Due to a customer card or smart device such as the Nike+gadget for runners which is related to an iPhone every NIKE-outlet is perfectly informed about the needs of its clients. Hilton Hotel regularly validates the status of its clients and has specific offerings corresponding to their purchasing behaviour. Lufthansa is known for the reward system, and especially for intra reward trading. You can spend bonus miles at a multitude of cooperation partners. Nespresso is known for its Brand experience. Nivea is known for perfect customer interaction. If you call them, contact by e-mail or Social Media you would get a response within 20 minutes. Most of these services are not available in the used car business although their products are more expensive by far. Therefore, why should a customer accept a worse service? The levers for a successful used car business are standardization, customer management and Multichannel Management. The prerequisite is that one layer bridges all OEM business areas such as new car and used car sales, aftersales, financial service and fleet business. At the POS, this layer is connecting dealer, contact centre and website. This could be realized in a technical sense by a common retail CRM containing the entire customer contact history via all touch points on retail and OEM-level. How to realise excellent used car business? Improve customer experience across all touch points. Rationalize customer management through seamless processes. Create service bundles with captive bank, retail and aftersales. Optimize certified used car programs. Create transparency of inventory and pricing. In a nutshell: The ultimate goal is to leverage customer engagement by seamless processes. For example, in the U.S. AutoNation succeeded to cover the whole product life cycle reaching from new car purchase to used car aftersales service. By realising the above mentioned changes automotive companies will tap the full potential of the used car business. At first glance, the Internet seems to simplify international brand communication because of its high reach at low cost. Moreover, the information overload triggered by the Internet makes the branding of products vital because brands serve to simplify consumers purchasing decisions. At the same time, brands are more vulnerable in the Internet because the community does not tolerate poor quality. By social media consumers have a high power to spread their disappointment. A well-known example is homemade spot "United breaks guitars" on YouTube. Social media change the rules of brand communication because they allow the solidarity of consumers in the Internet. But not only brand perception is altered by social media. Consumers are also actively participating in brand-building. Take for example the "BMW Motorcycle story" put by a customer on YouTube. This spot is much more beautiful than most of the manufacturer's commercials. The communication behaviour of consumers changed by social media demands a new concept of brand management. It's not about creating awareness ("we are now at Facebook"), but how to build a relationship between customers and companies, for example in the form of brand communities. In saturated markets with interchangeable offers, brand communication plays an important role in establishing a unique brand image which differs from the competitors offer. Furthermore, one has to take into consideration that consumers are very sensitive concerning the use of their data. Studies have shown that consumers are more open to reveal personal information when they see concrete benefits in exchange. Interactive brands meet these challenges. The interaction level of a brand can be operationalized by the frequency of reciprocal reactions (e.g. speed of the dialogue), responsiveness and the relevance of the company's answers to the consumer. This interaction has several positive effects: by the intensive use of the product, customers can become experts. With their expertise, they contribute to the improvement of the service quality and to the reduction of costs. By reviews in forums and blogs, a customer can convince other consumers and thereby strengthen the brand. Interaction strengthens the brand. When interaction takes place in the form of a dialogue, or even better in the form of observable behaviour, it comes to a more intensive mental processing and storing in the consumers mind. When it comes later to a purchase decision, this brand-specific content will be remembered better and faster: the consumer has more vivid mental image of the brand. This is highly relevant for the brand image since it includes also non-verbal mental representations in addition to verbally stored mental associations. The strong effect of mental images on purchasing behaviour is well known. A high degree of interaction has a positive impact on brand image, brand memory and purchase intention. At the point-of-sale, interaction leads to staying longer in the store, visiting again more frequently the outlet and having a higher purchase intention. Due to the high degree of interaction, the user has more degrees of freedom in shaping the communication and can adapt it more to his information needs. Moreover, the interaction with the brand leads to a better attitude towards advertising and the brand as such. It also improves the involvement of the consumers. As a result, consumers can dive deeper into the brand universe and learn more about it. It is important to make sure that the perceived strength of the interaction depends mainly on the speed of dialogue, i.e. whether the consumer immediately responds (like, post) to the company's communication. So far especially sports brands have successfully created interactive brand communication. Nike's brand web site NikeID.com allows the user to individually design his running shoes online. By the personalising the product, the customers identify more easily with the brand. Nike offers also on its web site the possibility to share personal running experiences with the community. By this the community members act as brand ambassadors and finally strengthen customer loyalty. Customers are motivated to give feedback to the company about its products. Interactive brands are a response to the ubiquity of the Internet. They are fostered by the change in consumer behaviour. As a result companies must rethink their brand management. It's not simply sending only messages to the audience, it's rather inviting consumers to enter into a dialogue with the company. This dialogue will take place all over the world. The dialog should encourage the consumers to participate. As a result, changes in organisation and process of the companies are mandatory. When it comes to the product, companies have the chance to differentiate from competition by innovative product-service combinations. Interactive brands are essential not only from a business perspective; they are reflecting the consumers' expectations. Interactive brands are a phenomenon of changed marketing landscape in the digital era.